"In and out of a funk. My last day of work was January 2nd. It’s been more than twenty years since I was last not working. Maybe if I get moving, on the road, meet people, learn about what’s going on where they live, have some adventure, go where I don’t know and I’m not known, it’ll clear my head, reset, I’ll think new thoughts, break out of the loops I’ve been stuck in," O'Rourke wrote. 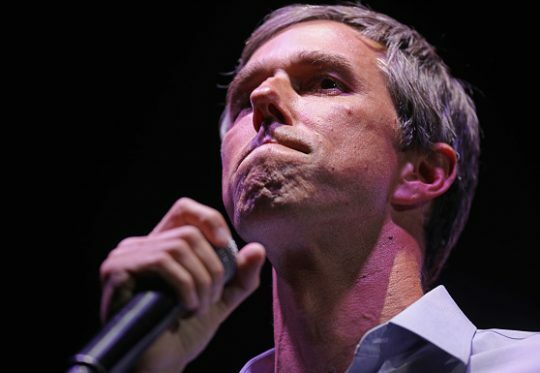 O'Rourke was criticized earlier this week after he gave vague answers in an interview addressing a number of policy questions. In the interview, he questioned the relevance of the Constitution, wondering whether the United States can "still be managed by the same principles that were set down 230-plus years ago." He equivocated on a number of policy questions, answering "I don't know" when asked what to do about illegal immigrants who overstayed visas. As for the planned removal of troops from Syria, O'Rourke said there needs to be "a debate, a discussion, a national conversation about why we’re there, why we fight, why we sacrifice the lives of American service members, why we’re willing to take the lives of others."